5 days, 13h:40m:16s £15.00 Buy now! 7 days, 01h:17m:01s £10.00 Buy now! 3 days, 17h:20m:58s £20.00 Buy now! Sinclair QL Book: QL Quill by Francesca Simon & Clare Spottiswoode 29 days, 16h:29m:19s £1.99 Buy now! Sinclair QL Book: QL Easel by Clare Spottiswoode 29 days, 16h:29m:19s £1.99 Buy now! Sinclair QL Book: QL Abacus by Clare Spottiswoode 29 days, 16h:29m:19s £1.99 Buy now! Amiga Power Issue 14 June 1992 Coverdisks for Commodore Amiga 29 days, 17h:16m:33s £2.10 Buy now! The Terminator: Dawn Of Fate PAL for Sony Playstation 2/PS2 from Atari (SLES 50922) 29 days, 19h:07m:27s £2.10 Buy now! Joytech Playstation 1/PS1 Lightgun for Sony Playstation 1/PS1/PSX 29 days, 19h:12m:27s £14.50 Buy now! Your Sinclair Issue 63: Six Pack No. 1 February 1991 for ZX Spectrum 29 days, 20h:08m:27s £1.05 Buy now! Singstar Party PAL for Sony Playstation 2/PS2 from Sony (SCES 52826) 29 days, 22h:34m:59s £1.05 Buy now! Commodore C64/128 Game: Final Fight by Kixx 29 days, 23h:43m:32s £2.75 Buy now! Commodore C64/128 Game: Spiky Harold by Firebird 29 days, 23h:49m:53s £2.75 Buy now! 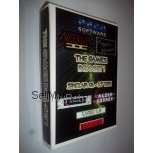 Commodore C64/128 Game Collection: 4 Quattro Megastars by Codemasters 29 days, 23h:51m:25s £5.00 Buy now! Commodore C64/128 Game: Monty on the Run by Gremlin Graphics 29 days, 23h:56m:07s £5.00 Buy now!